The weather forecast for last week showed the county was to get some much-needed moisture, as of Thursday the Eads area hadn't received any moisture. Hopefully the moisture is on the way. All CRP maintenance activities, such as mowing, burning, disking and spraying, must be conducted outside the primary nesting or brood rearing season for wildlife, which for Colorado is March 15 through July 15th. In this instance, spot treatment is limited to the affected areas in the field and requires County Committee approval prior to beginning the spot treatment. The County Committee will consult with NRCS to determine if such activities are needed to maintain the approved cover. Commodity and Price Support Programs The annual limitation for the Agriculture Risk Coverage (ARC) and Price Loss Coverage (PLC) programs, Loan Deficiency Payments (LDPs) and Market Loan Gains is $125,000 total. Conservation Programs The Conservation Reserve Program (CRP) annual rental payment and incentive payment is limited to $50,000. CRP contracts approved before Oct. 1, 2008, may exceed the limitation, subject to payment limitation rules in effect on the date of contract approval. 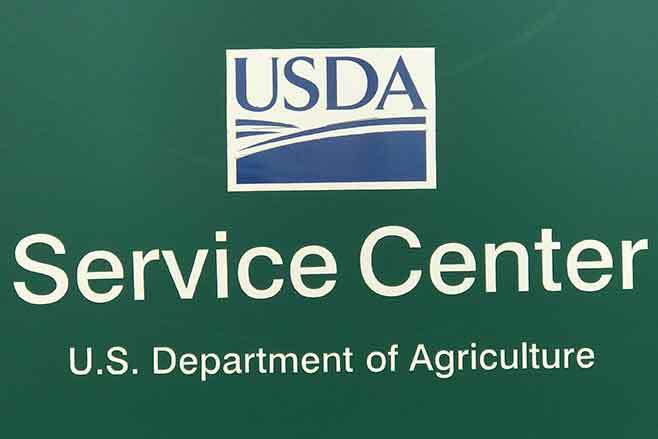 Disaster Assistance Programs The annual limitation of $125,000 applies to the Emergency Assistance for Livestock, Honeybees and Farm-Raised Fish Program (ELAP), Livestock Forage Disaster Program (LFP) and Livestock Indemnity Program (LIP). The total payments received under ELAP, LFP and LIP may not exceed $125,000. A separate limitation of $125,000 applies to Tree Assistance Program (TAP) payments. There is also a separate $125,000 payment limit for the Noninsured Crop Disaster Assistance Program (NAP). Another week of status quo for the Drought Monitor, as the D2 and D3 lines have not expanded. The D4 category drought did expand for the panhandle of Oklahoma into SW Kansas and small part of Texas. Colorado drought details for this week can be found in this KiowaCountyPress.net article.